Last year’s The Art of The Force Awakens offered a historical look at not just the art behind the billion dollar film, but also some insight into how major elements of the film took time to congeal into the final form on the silver screen, such as the race of Finn or the setting of the desert planet Jakku as Rey’s home. 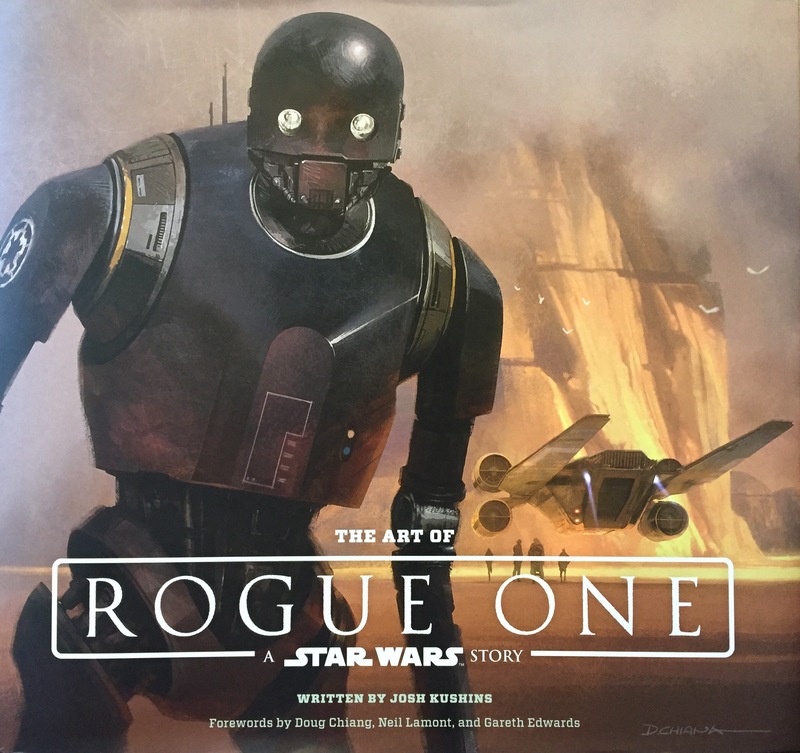 The Art of Rogue One, written by Josh Kushins, provides the same beautiful selections of production art, printed on glossy, high quality paper, as its predecessor, and also offers a glimpse into how Rogue One became the finished product still in theaters. The major difference between the two is that Rogue One was far more informed on the details of who, what, and where, than its cinematic predecessor, which in turn reveals how far Disney and Lucasfilm have come in determining their future films. A key phrase which emerges as one reads and admires The Art of Rogue One is “Make it how you remember it, not how it was.” This mantra came from the film’s director, Gareth Edwards, who admitted to watching Star Wars on a daily basis through much of his childhood. The result is an interesting pull and push between nostalgia and fact, such as the final form of the AT-ACTs, the giant walkers that lumbered across the sands of Scarif dealing devastation upon rebel soldiers. The All Terrain Armored Cargo Transports, as the acronym breaks down, are taller and thinner than the AT-ATs first glimpse during the Battle of Hoth in The Empire Strikes Back. The reason, as The Art of Rogue One explains, is that’s the way the artists remembered them from that film. A lot of the book serves as a lengthier film commentary on characters and settings, accompanied by well selected images that invoke memories of the more dynamic film counterparts. The design of the U-Wing is accompanied by a spread of all the potential shapes of the newest rebel craft as the production team yearned to bequeath a new “alphabet” fighter to the rebel fleet and examined multitudes of forms and shapes. Likewise, the evolution of K-2SO from a more menacing C-3PO into the familiar form we now know and love is just as interesting and nearly as many images dedicated to him. The Art of Rogue One is accompanied by a few surprises and a dose of the exploration of creativity which accompanies most films in the beginning, if not on the scale of The Art of The Force Awakens. One surprise is the loss of a giant alien creature from the Rogue One team, something in the line of Chewbacca’s size and strength. 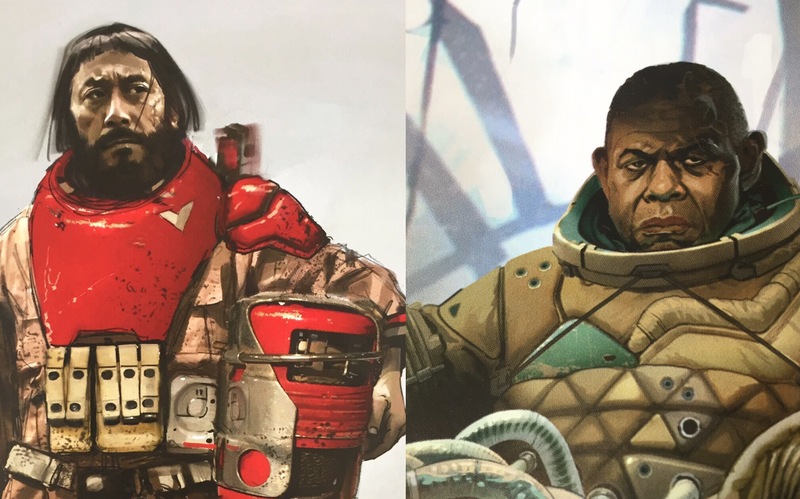 Originally named “Senna,” plenty of time appears to have spent on refining the alien who eventually became the white shaggy lumbering giant with a respirator who emerged in Rogue One as just one of Saw Gerrera’s partisan fighters. Another surprise is the admission by Doug Chiang, a long time Lucasfilm art creative director and designer. 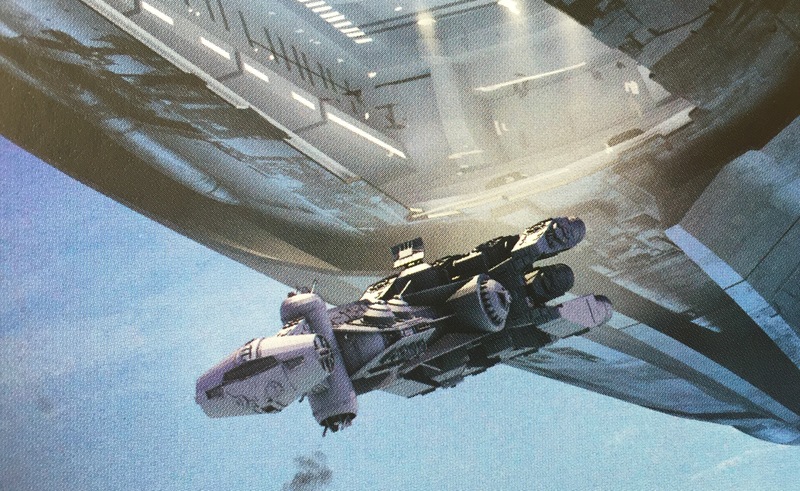 Due to the visual style of planning favored by Edwards, Chiang admits that Rogue One produced the most art as its director sought to “see” as much of the film as he could before actually filming it. An example is provided in the form of concept story boards that portray the rebels landing on Scarif, crafted in grayscale but for the vibrant red of blaster bolts racing across the frames. A final surprise worth mentioning is the absence of virtually anything which might shed insight into the form of the film before the reshoots that occurred in the summer before its release. 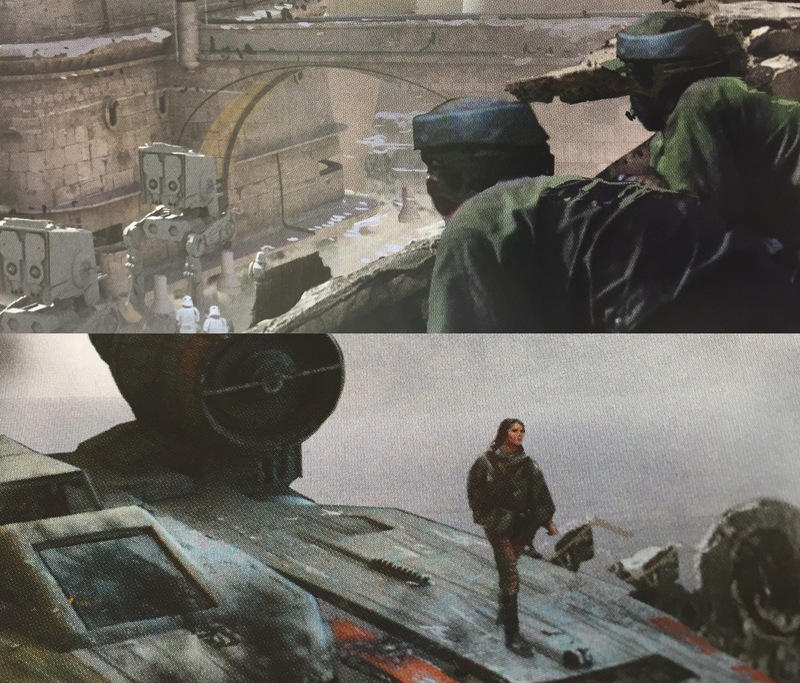 Undoubtedly, art was created which depicted what was shot, but hardly anything recognizable as such made it into The Art of Rogue One. It’s disappointing from the perspective of the book as a history of the film, which it surely is, but it must be accepted as the creative history of the film that was released, not the entire film making process. Perhaps someday that art work will be released. The Art of Rogue One is a beautiful book and hopefully the second in an annual tradition of art books which will accompany the release of every future Star Wars film. Not only does it feast the eyes, but it provides insight into design decisions, as well as a telling of how the film went from an idea by John Knoll to an exciting foray into the cinematic Star Wars universe. For those looking only for information on the reshoots and the film that was, but never came to be, it is not the book for you. For almost everything else, The Art of Rogue One is well worth one’s time.